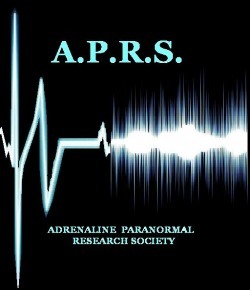 Adrenaline Paranormal Research Society is dedicated to examining paranormal phenomena, collecting evidence which might be supportive in proving the existence of paranormal phenomena, and assistance to those who are experiencing phenomena they believe to be paranormal in origin. Our mission is to find proof of the existence of life after death, and all we can learn from it. We do this by means of scientific investigation.